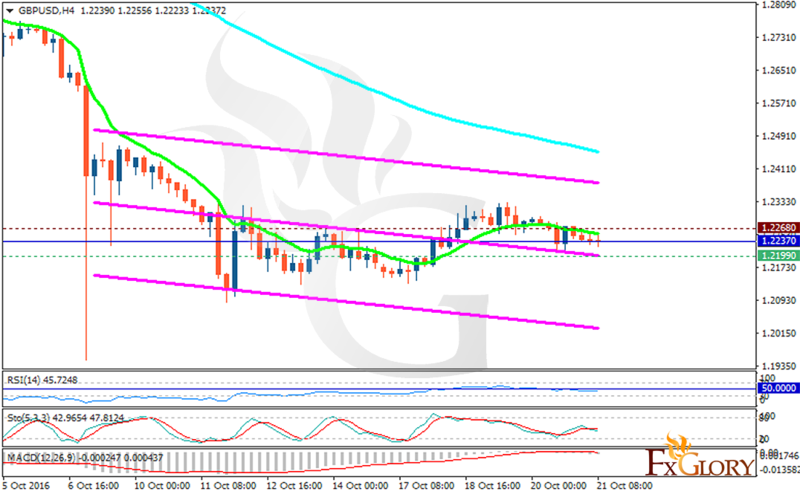 GBPUSD is acting weaker due to the Retail Sales release. The support rests at 1.21990 with resistance at 1.22680 which the weekly pivot point at 1.22370 is located in between the lines. The EMA of 10 is moving with bearish bias and it is located below the EMA of 100. The RSI is moving below the 50 level, the Stochastic is showing downward momentum and the MACD indicator is in neutral territory. There is no clear signal for this pair at the moment since it is staying neutral. Traders must wait for better signals.